When we bumped into Joe Dolan, Controller at Russell Roofing & Exteriors, at the International Roofing Expo in New Orleans, he invited us to speak with Dan Simpson. Dan joined Russell Roofing & Exteriors, a commercial and residential contractor in the Delaware Valley Area, over 6 years ago. In the past 6 years, Dan has risen through the ranks and he’s now managing the company’s growing sales team. When he was introduced to HOVER three years ago, he quickly understood that the platform had the potential to elevate the company’s sales activities. 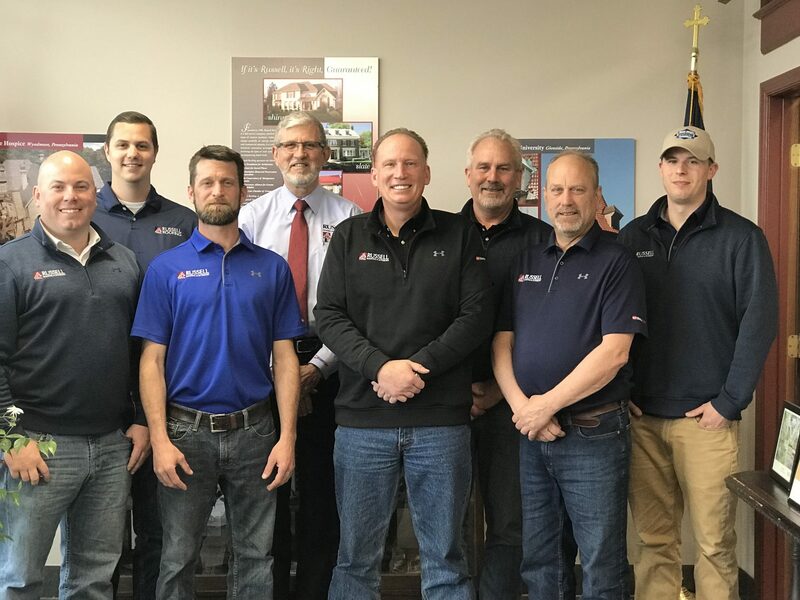 Since the start of the company 25+ years ago, Russell Roofing & Exteriors has been going to great lengths to ensure that their salespeople are the best in the Greater Philadelphia area. They invest significant time and money in training their team on the latest best practices in materials, methods, and safety to ensure outstanding customer experience and highest quality workmanship. Before Dan discovered HOVER, Russell Roofing & Exteriors turned to other technologies to help visualize the project for the homeowners. Unfortunately, these tools were often hard-to-use, time-consuming and didn’t provide an accurate representation of the products and colors the homeowner had in mind. Dan is happy that HOVER supports the success of his sales team and is thus determined to stimulate adoption of the platform as the team continues to grow. Russell Roofing & Exteriors is a premier commercial and home exterior contractor that services all aspects of homeowners’ exterior needs from roofing, windows and doors to siding, gutters and masonry. The company, which operates in the Greater Philadelphia area, can rely on more than 25 years of remodeling experience. Throughout this time, Russell Roofing & Exteriors has been operating according to their motto “If it’s Russell, it’s right. Guaranteed!” by offering professional installation of the highest quality materials.